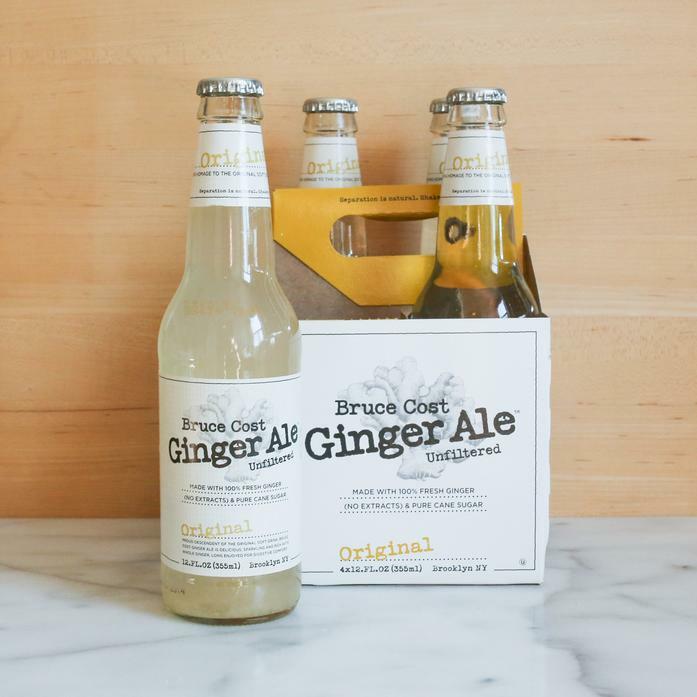 Made with only fresh ginger (no extracts or oils) and pure cane sugar, Bruce Cost's Fresh Ginger Ale is a fundamentally simple, delicious and spicy beverage. Unfiltered, with tiny ginger particles, and shaken slightly before pouring, it has the adult "mouth feel" of a beer or wine. Each order contains four 12oz bottles.